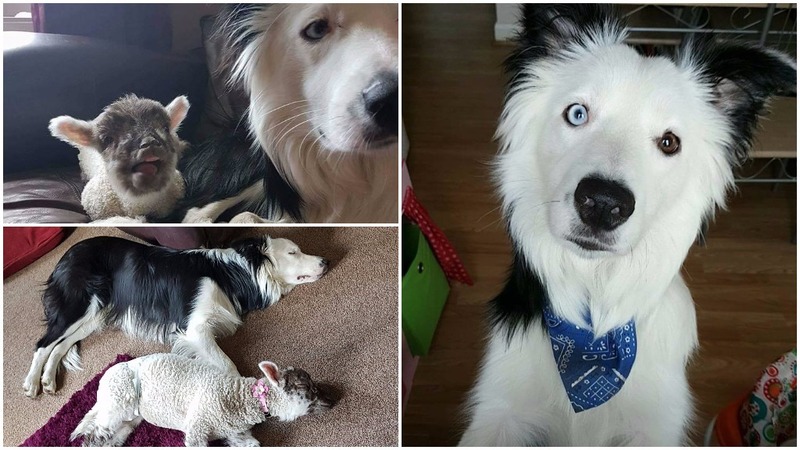 Droppings and hoofprints have been found in the search for a missing orphaned lamb and her sheepdog "best friend". Bella and canine companion Blake disappeared from their owner Natalie Haywood’s garden on Monday. The spring lamb, who is still being bottle fed, was paired with the one-year-old Border Collie after the loss of her mother. On Wednesday, tracker dogs picked up a scent in nearby woodland, as well as droppings believed to be Bella’s. The search is due to resume later. Newark and Sherwood District Council, which is looking into the disappearance, said the pair might have escaped. But Ms Haywood, of Perlethorpe, near Sherwood Forest, said she fears they may have been stolen. She told Lincolnshire Live: "I’d closed the gate while I went on the school run to let the dog and the sheep go in and out of the garden - we live in a very secluded area and I do it every day," said Natalie. my dogs been let out in thoresby area! if anyone sees blake he may also be with Bella let me know! "But when I came back I saw the gate open and they’d gone. "I spoke to someone who said they’d found both of them running around in front of the farm so they tried to chase them back in but they ran out and into the forest. "We are heartbroken. Our two kids don’t understand where they’ve gone. It’s been absolutely horrible. We’ve been out on push bikes and in the car looking around - we’ve got people here, there and everywhere looking for them. "We would really benefit from any local farmer checking their flocks as Bella may have been picked up and put in by mistake. She’s only five weeks and still needs milk and without a mum she will be weak." The home borders 3,800-acre Clumber Park which the pair might have entered. A council spokesman said: "We think they may have escaped, but we can’t rule anything out.